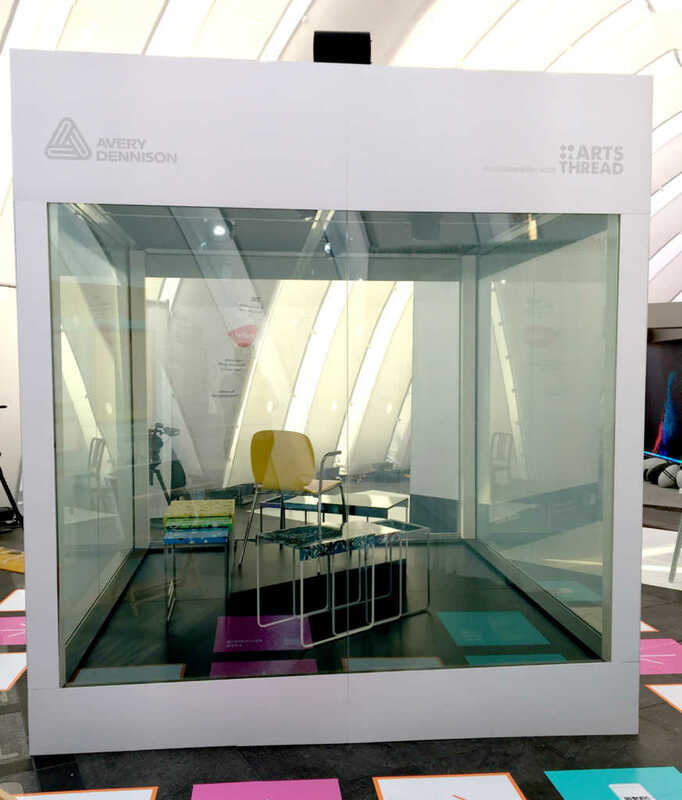 Avery Dennison - The Rogers Co.
NYCxDESIGN "Bright New Things Take Times Square"
Avery Dennison's VELA dynamic display-window technology was on exhibit in the outdoor design pavilion at NYCxDESIGN in Times Square. Avery’s new VELATM dynamic display-window technology was on exhibit in the outdoor design pavilion at NYCxDESIGN “Bright New Things Take Times Square.” VELA dynamic display-window technology turned the cube’s glass walls into a digital display screen, cycling between rich color and videos of the artists at work. At intervals, the walls became transparent to reveal the actual art within. 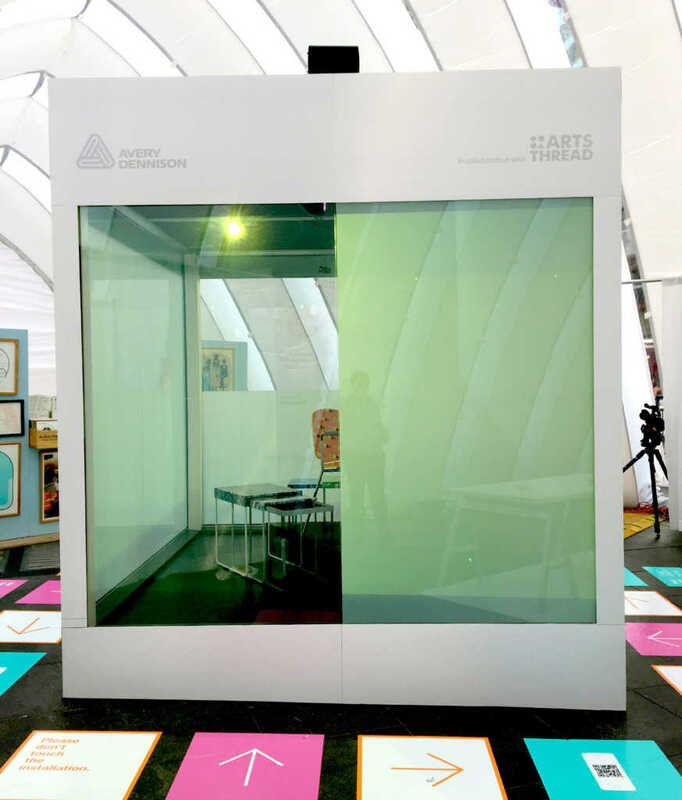 As viewers walked around the cube, their JanelaTM smart-products platform enabled them to connect with the installation through their smartphones and share the content with friends around the world.